Chocolate has a wonderful taste and almost every person consume it. Less pleasant are the moments when chocolate get into the carpet or clothing. Here are some solutions that will help you to quickly clean these troublesome stains! The carpet got dirty with chocolate? Soak an absorbent cloth in glycerol and rub the stain. Leave on 10 seconds then repeat the process if necessary. When the stain disappears, clean the carpet with a cloth soaked in warm water. Add a teaspoon of dishwashing detergent and one teaspoon of ammonia in one cup of cold water. Mix the concoction. Soak a clean cotton cloth in this solution and slightly rub the dirty area. Repeat as often as needed. 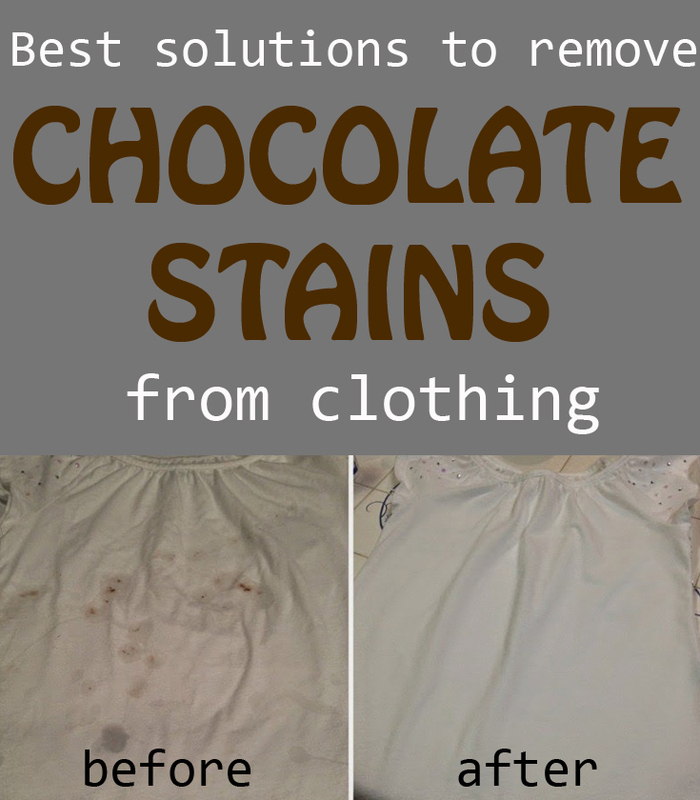 In this way you’ll get rid of chocolate stains and your carpet and clothes will look like new. Clothing items can be easily cleaned with salty water. Mix half a cup of salt to one cup of water and let the salt melt. Pour on the stain, leave it on for 10 minutes then rinse thoroughly.